It was indeed quite the busy Halloween costume-buying season, and I’m not going to lie: my disposable income took a ding. As we hit the final day of celebrations yesterday, I concluded that not only was this absolutely necessary, but that there was a kernel of a lesson that I wanted to share with anyone in marketing. 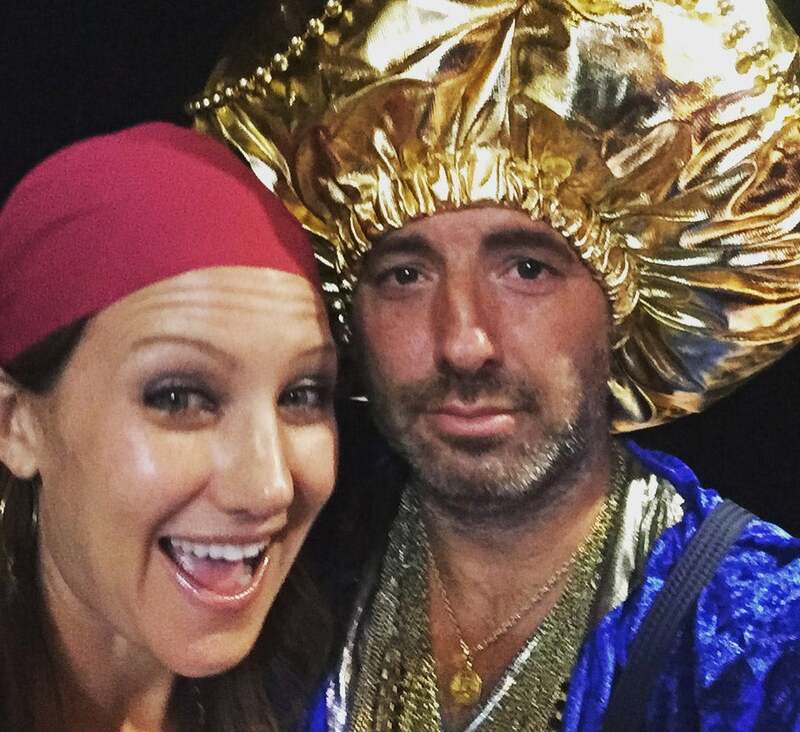 A few weeks back my wife and I were invited to a “reincarnation party,” where we were instructed to dress as someone we were in a past life. In the party invite, we learned that a real, live medium would also be attending the party. Of all the parties, this was the one where we would know the fewest people. This led us to dress up as…mediums. The intent was to get into a verbal spar with the real-life medium, engaging in a credentials battle –I was planning to say I learned at Hogwarts – but the medium never showed…or we, gulp, left too early. 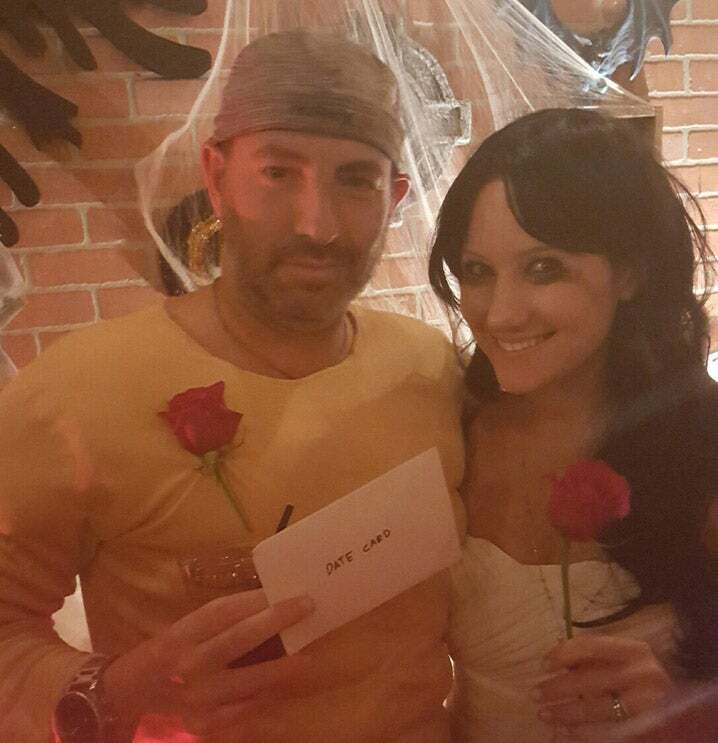 Our second party was the adults-only neighborhood Halloween party. Now if you live in a little Pleasantville community – ours I have labeled “the land of pools and schools” – you know a night of all parents and no kids is a dangerous one. Many of the wives in our community get together to watch ABC’s famed “Bachelor,” which led my wife and me to go to the party as “Bachelor in Paradise” contestants Ashley I and “The Chad.” My wife perfected the mascara smear while I was eating deli meat most of the night. Yesterday, at work, where we have an entire arsenal of creative professionals that pull out all the stops, I decided to go with undecided American voter and new pop culture icon Ken Bone. Fast fact: This was the only recycled article of any costume, as I re-used my jacked “The Chad” suit as the underpinnings of my Mr. Bone outfit. 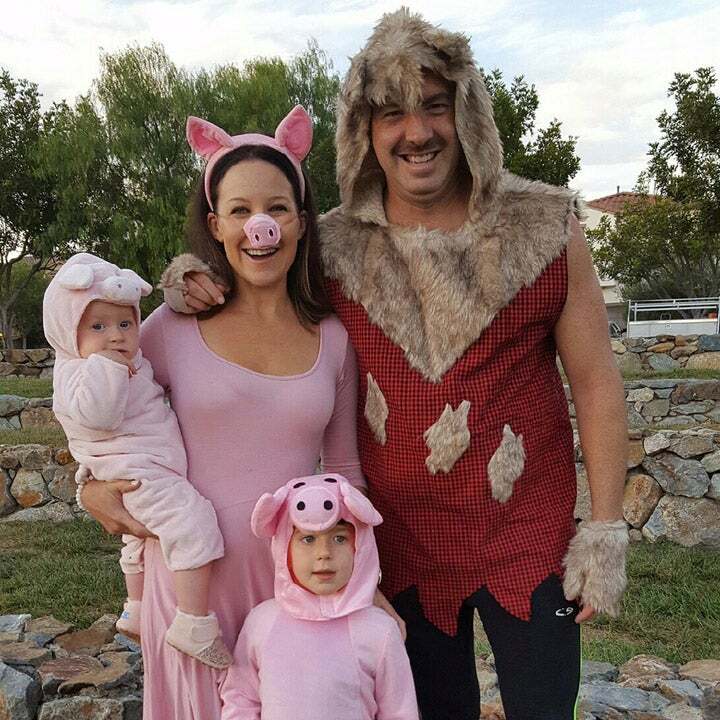 Finally, for last night, which was all about my kids, my son wanted the family to go as the three little pigs and the Big Bad Wolf. So, I furred it up for the family. Context is everything. You have to do everything in your power to understand the situation you are walking into. Ken Bone won’t cut it (nor would I want it to) for my three-year-old son. This is no different in real life. Content placed with Buzzfeed should be different than a story seeded in the New York Times. The vessels may change; the message does not. Often, the vessel is the attention grabber that’s needed to meaningfully break through. Once you grab the viewer, say the same thing – over and over again – only differently. All of my costumes, I hope, brought a laugh or smile to each audience, while my overall personal brand aspired to be known for delivering a positive light-hearted moment. The emotional always tops the rational. Halloween is a great opportunity to see who knows how to “market” what they have. A guy who dresses up as a lumberjack, has nothing on a guy dressed up as the Brawny man – which happens to be the exact same costume with the addition of a roll of paper towels. Which one of the two makes you smile more? Pop culture wins. Know your current events. Sure, this plays to context as well. The truth is none of our work is in a vacuum. When we understand what’s relevant today we can figure out how our story can stand out in a saturated sea of sameness. Seriously, life is currently way too serious. Perhaps this is just my POV, but I believe in a world polluted by war, finger pointing and a war of finger pointing (see: election), I’d rather stay on the lighter side with my message. 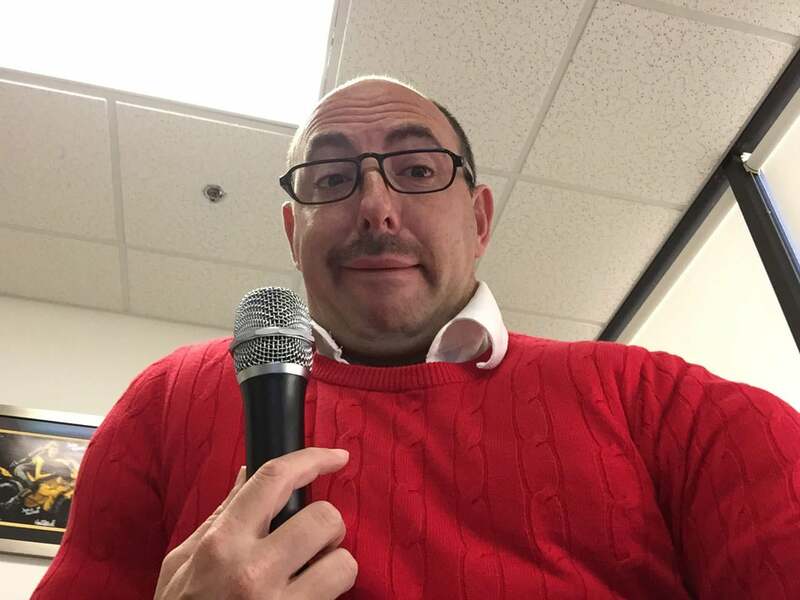 A bit ironic, as I did choose to go Ken Bone with one of my costumes. Here’s to another successful Halloween season. The above are just few pointers you can use when it’s time to start planning for 2017.